We R Memory Keepers Feeling Groovy Collection, a collection that matches my daughter's personality. Beautiful and vibrant spring colors are so much fun to work with. 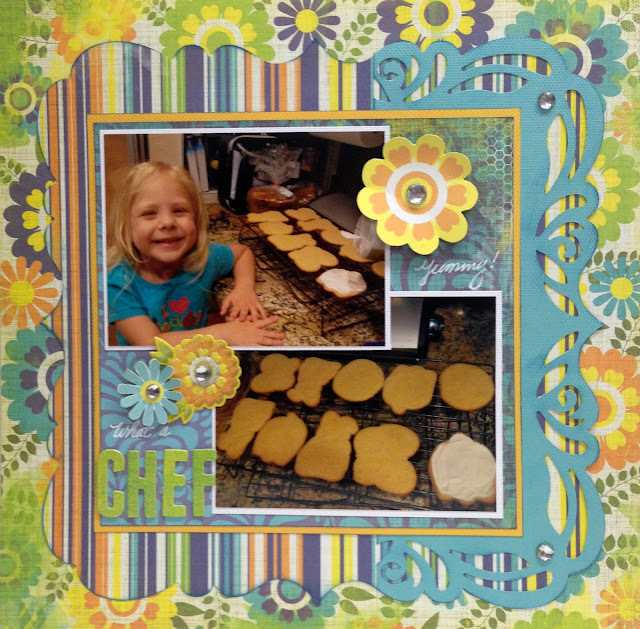 I chose these photos of my daughter helping bake Easter cookies to do the layout with. I also used one of my favorite tools, the Lucky 8 Fancy Scroll Punch. Added a few flowers and bling and the layout came out beautifully. Here are the closeup shots to capture all the details in this layout. 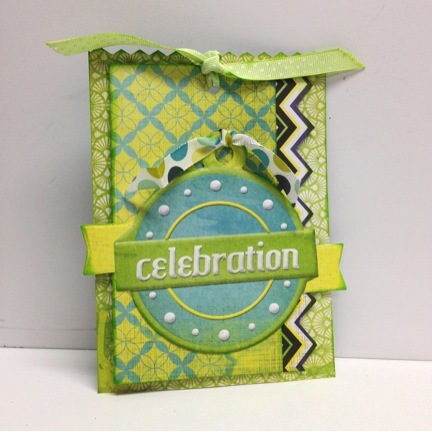 The Lucky 8 punch made a great border with the teal card stock which I overlaid the 12x12 shape punched out of the striped paper. 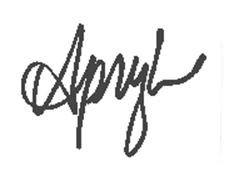 I also love the chipboard letters that come with this collection. Flowers and bling for the finishing touch! Visit Fotobella.com to view the entire Feeling Groovy collection. 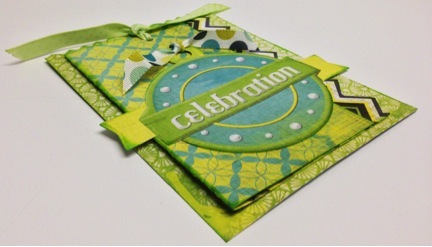 I also created a tag for any celebratory occasion with by combining several patterned papers, an embossed tag and ribbon. I really love the embossed tags that We R Memory Keepers adds to all their collections. Love those papers! Great colors...fun LO and a cute card.